The star has been airlifted to hospital following an incident in Switzerland. Richard Hammond has been airlifted to hospital following a “serious crash” in Switzerland. The 47-year-old television presenter was filming the second season of Amazon Prime show The Grand Tour on Saturday (10 June) when the Rimac Concept One he was driving crashed after completing the Hemburg Hill Climb. Richard was flown to a hospital in St Gallen where it was revealed he had suffered a fracture to his knee, but fortunately the star “suffered no serious injury”, and no-one else was involved in the accident. In a tweet, his co-star Jeremy Clarkson said it “was the biggest crash I’ve ever seen”. It was the biggest crash I've ever seen and the most frightening but incredibly, and thankfully, Richard seems to be mostly OK.
A spokesperson for The Grand Tour told BANG! 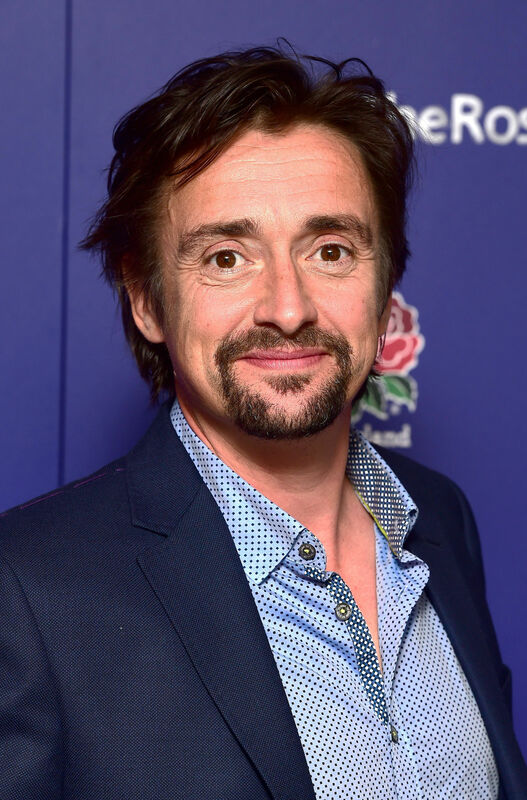 Showbiz in a statement: “Richard Hammond was involved in a serious crash after completing the Hemburg Hill Climb in Switzerland in a Rimac Concept One, an electric super car built in Croatia, during filming for The Grand Tour Season 2, but very fortunately suffered no serious injury. “Richard was conscious and talking, and climbed out of the car himself before the vehicle burst into flames. He was flown by Air Ambulance to hospital in St Gallen to be checked over revealing a fracture to his knee. It isn’t the first time the star has been involved in a horrifying accident while filming a television show either, as 11 years ago he almost died when he lost control of a jet car while filming BBC motoring show Top Gear. Richard’s latest incident comes after he said last month he would be leaving the death-defying stunts behind as he doesn’t want to risk leaving his daughters, Izzy, 16, and Willow, 13 without a dad and his wife Amanda Etheridge, 46, without a husband. He said: "I've a beautiful wife and two beautiful daughters. I'm not going to risk leaving them. Not for their sake, but for mine." When is Hulu’s Catch-22 released, who’s in the cast with George Clooney and what’s the trailer? TRAILER: When is the new Godzilla movie released in the UK, who’s in the cast with Millie Bobby Brown & what’s it about?